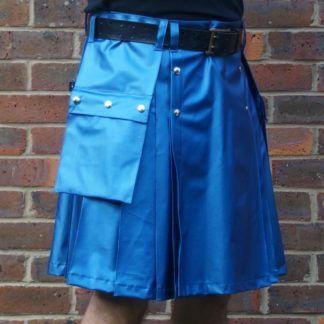 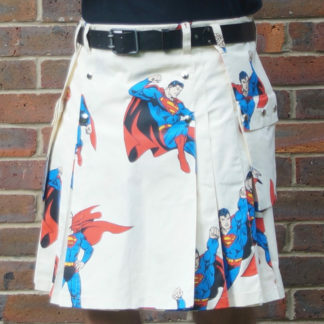 I made some kilts with fabric a bit like this a few years ago and they went like hot cakes. 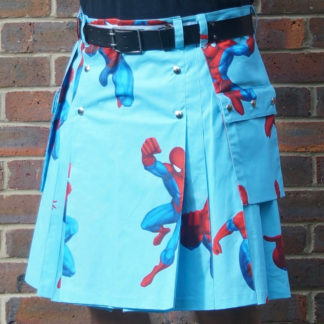 I’m pleased to say that I’ve got a reasonably large roll of this stuff so get ’em while they’re hot guys! 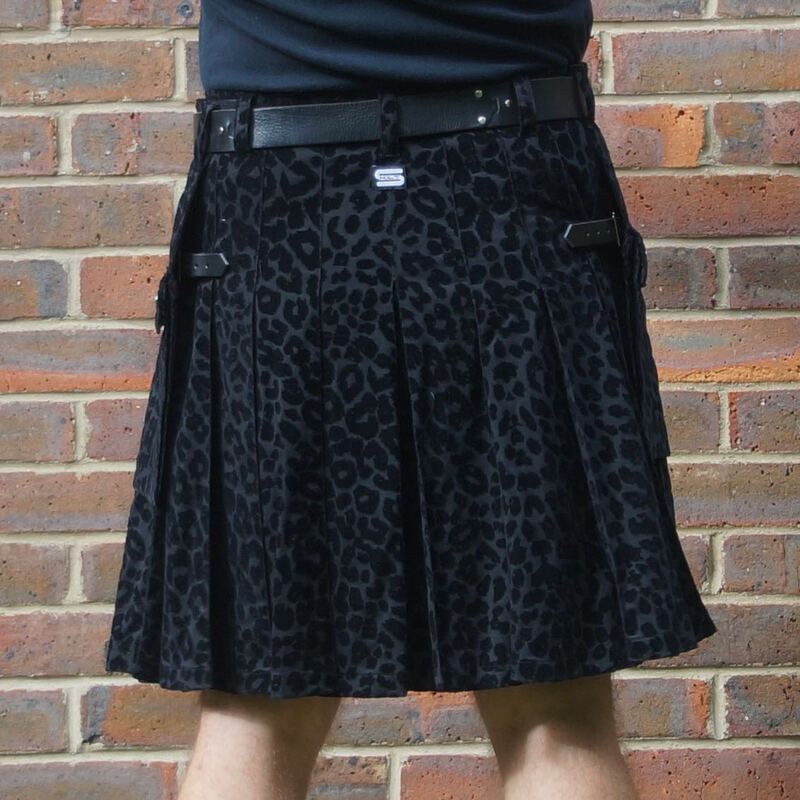 Yep – a black on black leopard flock kilt. 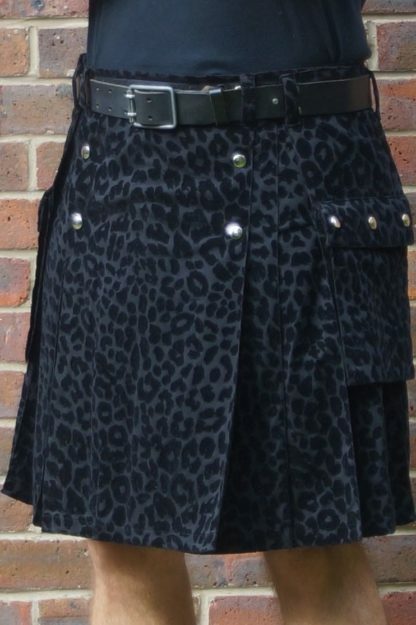 Looks great dressed up or dressed down. 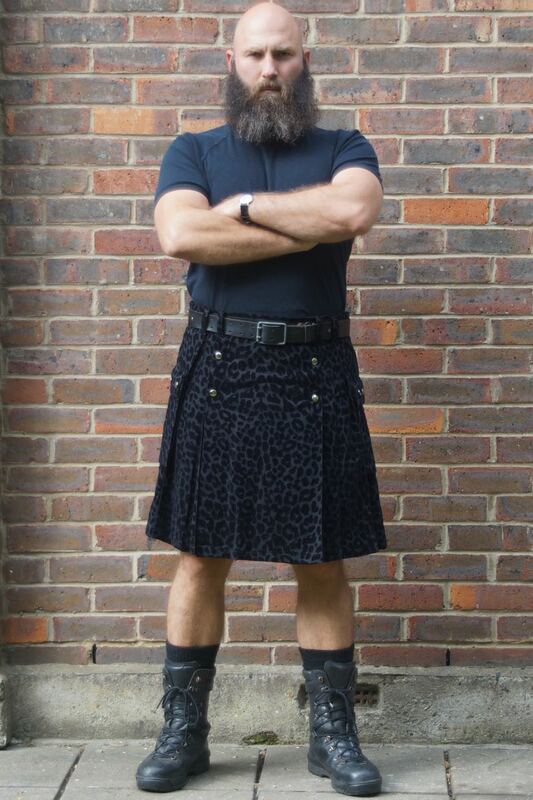 People WILL ask you about this kilt.